Today is going to be part 1 of 2, following in the vein of the Legendary Beasts illustration last week! 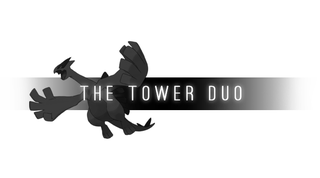 I present one half of the Tower duo, and one of my favorite Pokemon, Lugia! 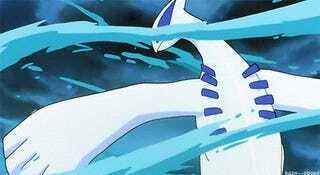 As the version mascot for Silver, he shimmers with silver and represents the storm and the seas. For the illustration, we’re only going to have two subjects to portray so each element will take up more space than with the three beasts...You can see I sorta leave a hint as to what’s going to come with Ho-Oh tomorrow! Oh, and remember, this is a work in progress! Just like last time, I’m not sharing the WIPs until it’s finished, which is fortunately just a day away. Anyway, I’m sitting here without much to say since I’m really excited to finish this piece featuring two day’s worth of mythical monsters! So is that all for today?! I think so! Ho-Oh has been mapped out but I’m saving him for tomorrow of course. I feel like the direction for the work is down pat, but give me any critiques or suggestions you got just in case! I’m excited to finish this up and present it tomorrow - hope you guys are too!